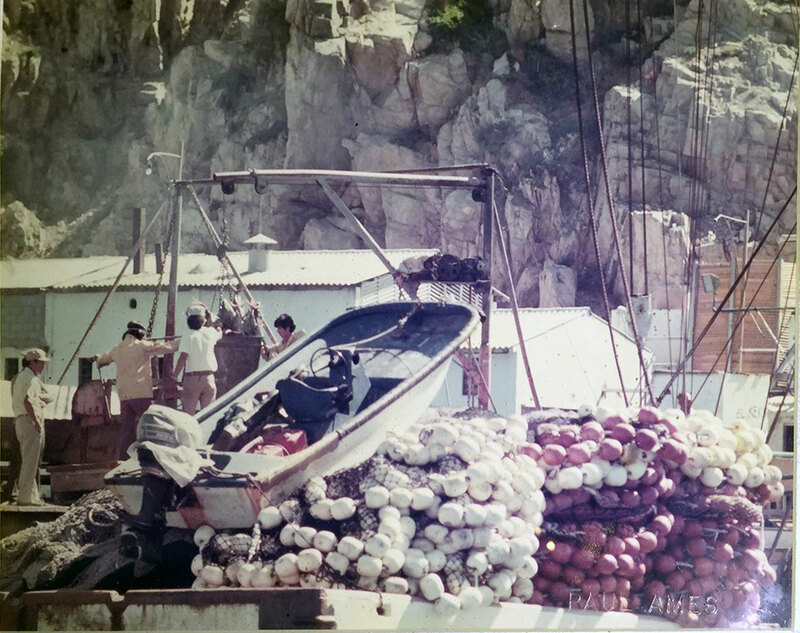 Old tuna cannery 1966. Source: Three friends of Bette Sutherin. 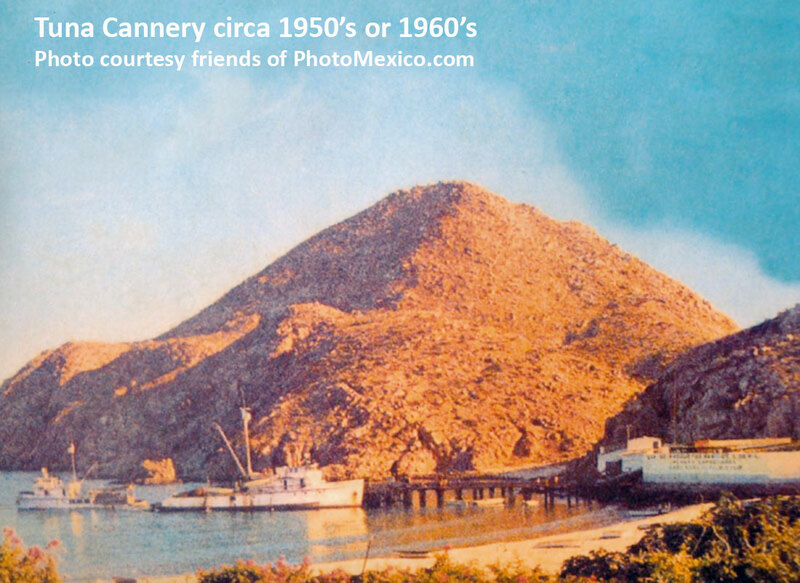 Old Tuna Cannery in Cabo San Lucas. 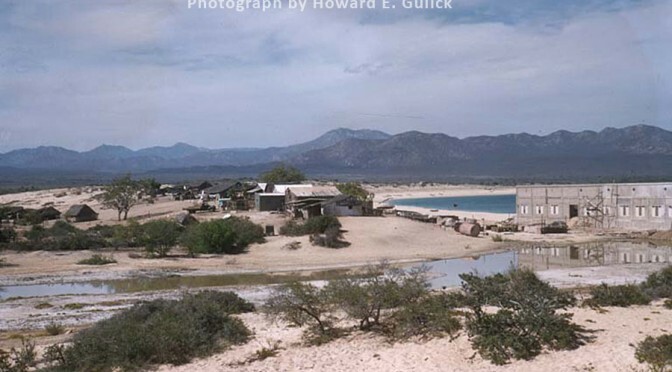 Copy of print displayed on the wall at Latitude 22 The Roadhouse Cabo. the name Paul Ames is barely visible on the print. Year unknown. 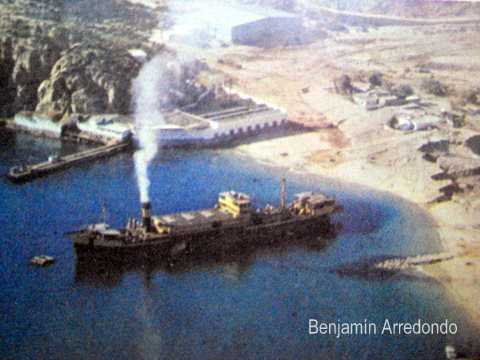 In this impressive photograph, which was taken at the beginning of the decade of the seventies of the twentieth century, we see the background tuna packer Pando, at the bottom the Finisterra hotel that was his huge beach watching the Pacific. It is indeed surprising to see detail this photograph was taken in 1970, although the date is not confirmed, I guess it will be in that year when it was taken. 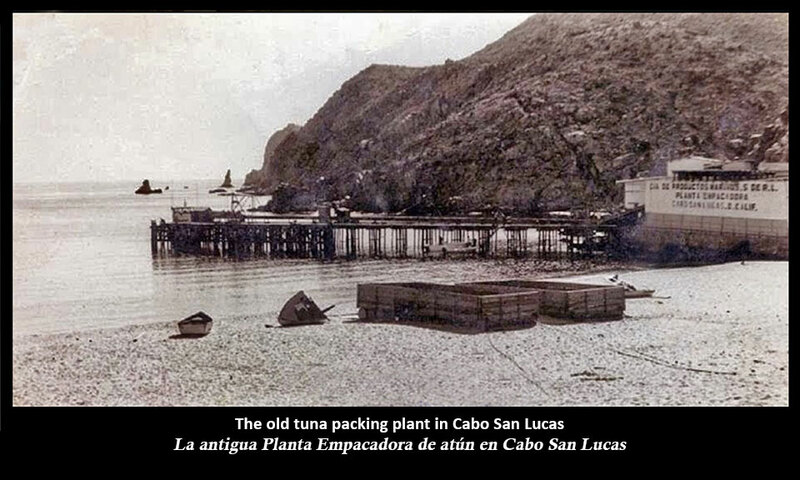 We clearly see the building occupied by the tuna cannery Pando and the few buildings that were in what is now the tourist marina of Cabo San Lucas, back is a warehouse, maybe it was part of the plant of Don Elias Pando. 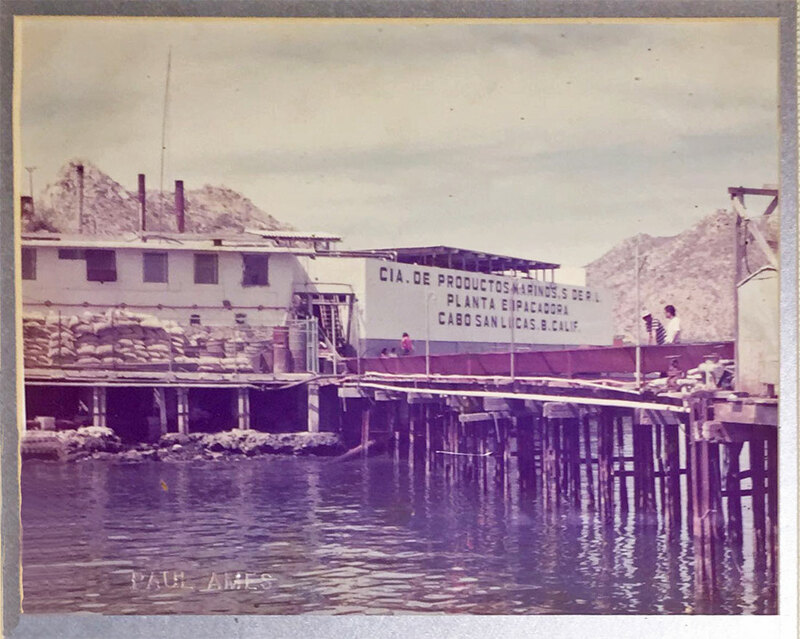 We reached the pier also served notice to the packing and would later be used for ferry service that existed between this point and Puerto Vallarta. 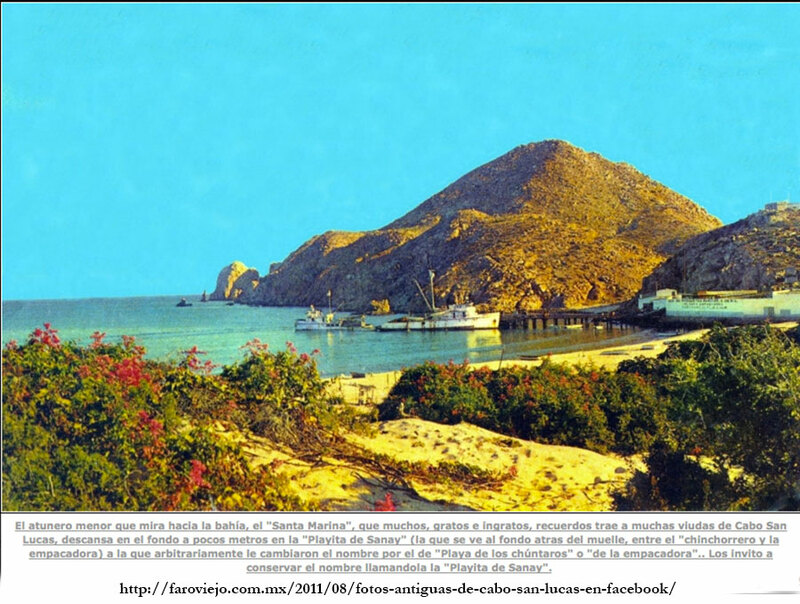 We have been asked as then population centers that now make up the municipality of Los Cabos. 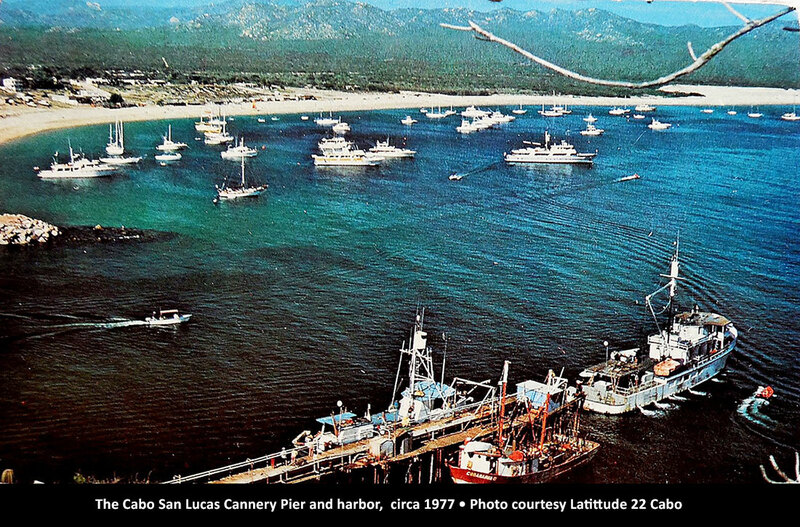 The Cabo San Lucas Cannery pier and harbor, circa 1977. 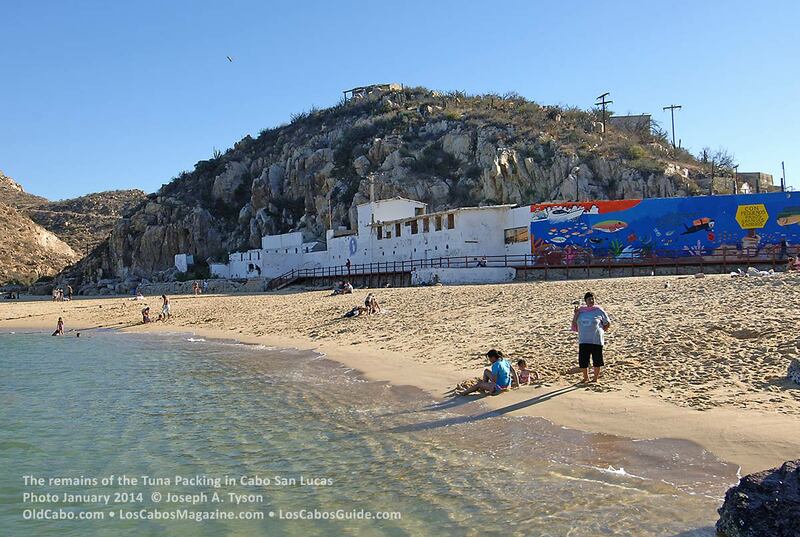 Photo courtesy Latitude 22 Cabo. 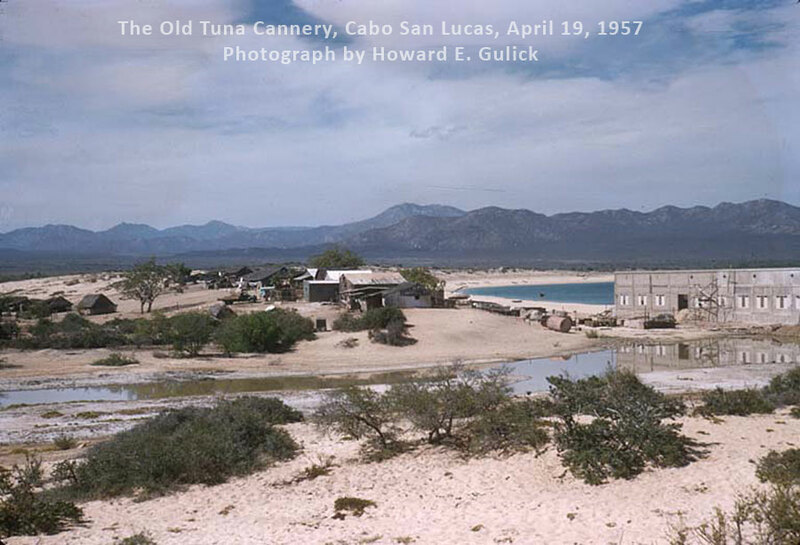 View of the old tuna cannery, circa 1960 to 70. 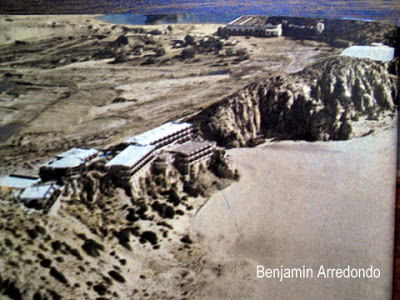 Caption is about changes the names of the Cannery Beaches. 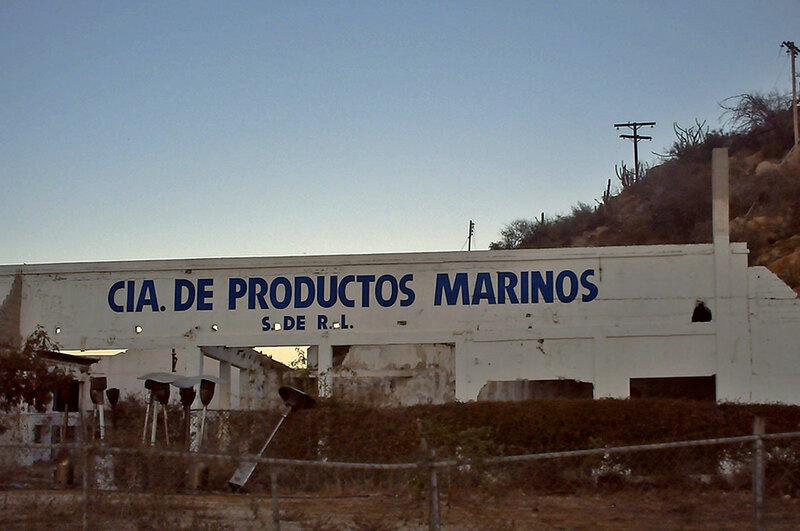 Compañía de Productos Marinos, Cabo San Lucas. Date of photo unknown, but I think it is fairly recent. 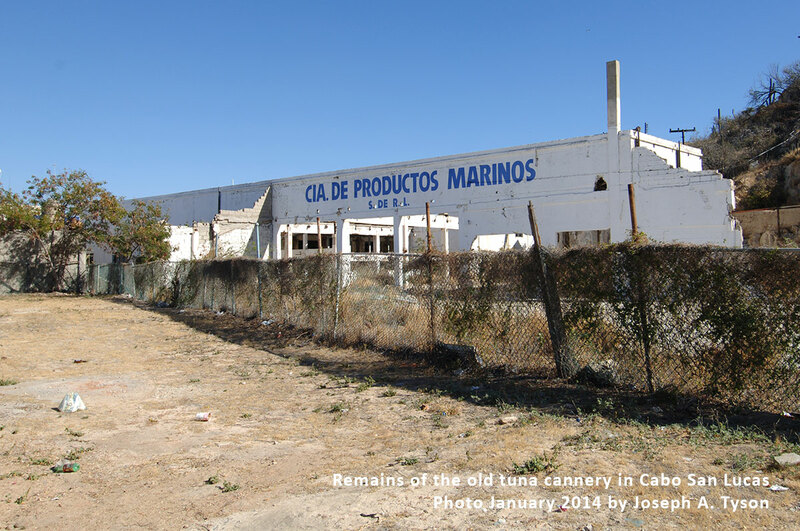 What remains of the old tuna canning plant in Cabo San Lucas is merely a shell of its former self. Nearly destroyed by a hurricane in the 1940’s and rebuilt in the 1950’s the old building stands as piece of local history. 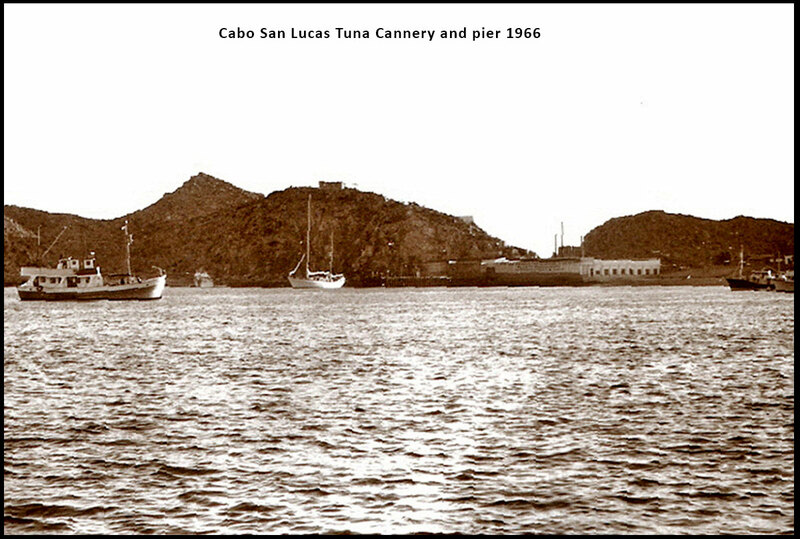 The historic Cabo San Lucas tuna cannery in the photo above was built in 1927 and kept in operation until 1980. 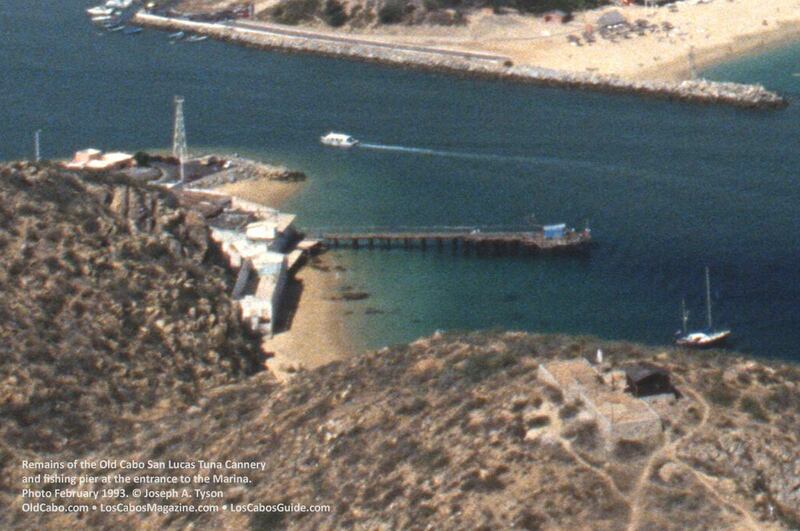 View of the old Cabo San Lucas tuna cannery and fishing pier at the entrance to the marina. The fishing pier was destroyed by Hurricane Juliette in 2001 after being a landmark for 70 years. Photo February 1993 by Joseph A. Tyson. 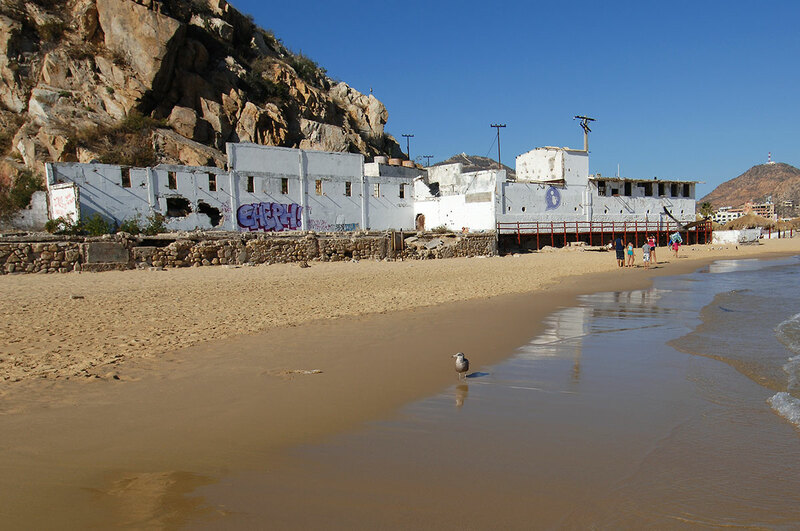 Remains of the old tuna packing plant in Cabo San Lucas.